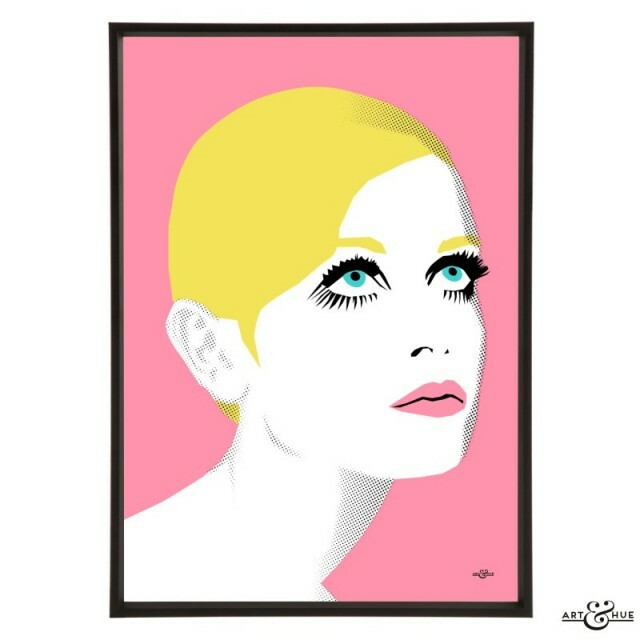 Art & Hue presents 1960s models, stylish pop art illustrations of iconic Sixties cover girls, available in three sizes and 23 colour options. 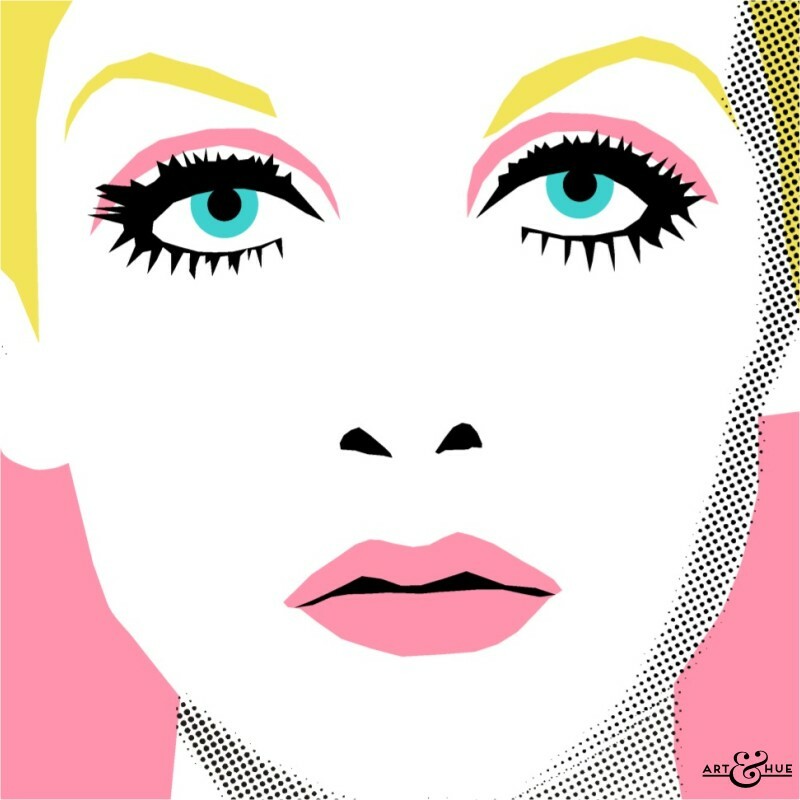 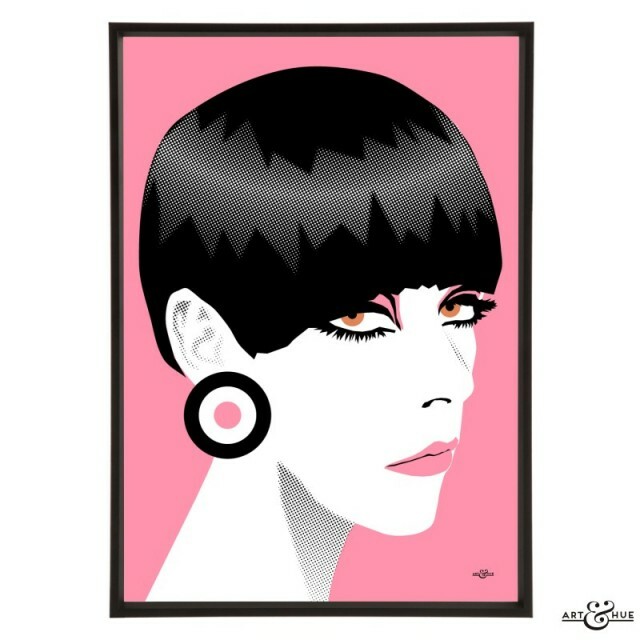 A new look for Art & Hue, these minimal stylised graphic illustrations feature the fashionable supermodels that defined the 1960s in fashion and helped to promote the vibrant changes taking place in Swinging London around the world. 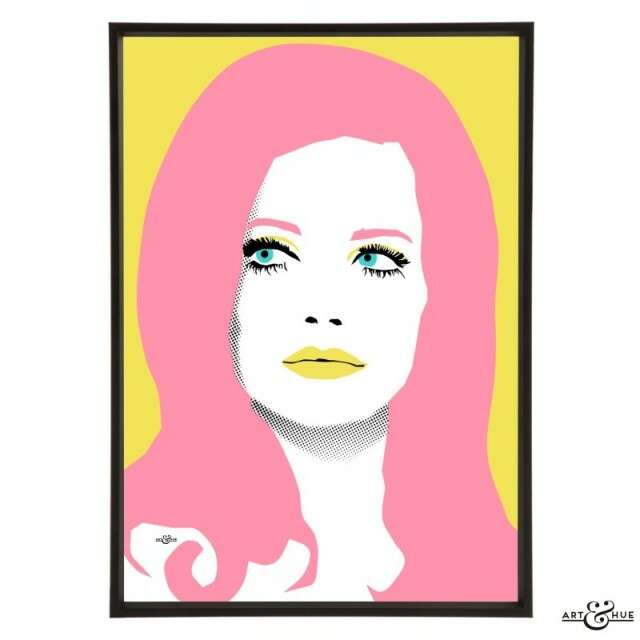 The combination of compelling British television such as The Avengers, the London retail revolution led by John Stephen from Carnaby Street, music of Swinging London & Merseyside, art, architecture, and fashion, all made Great Britain the centre of the universe in the Sixties. 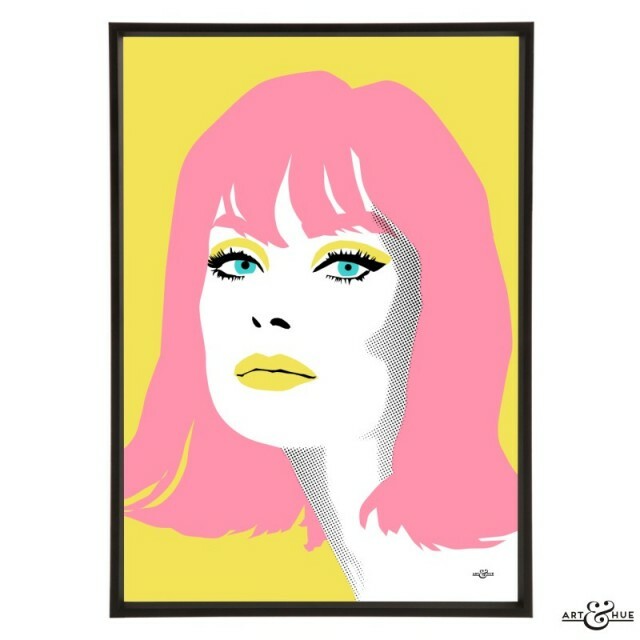 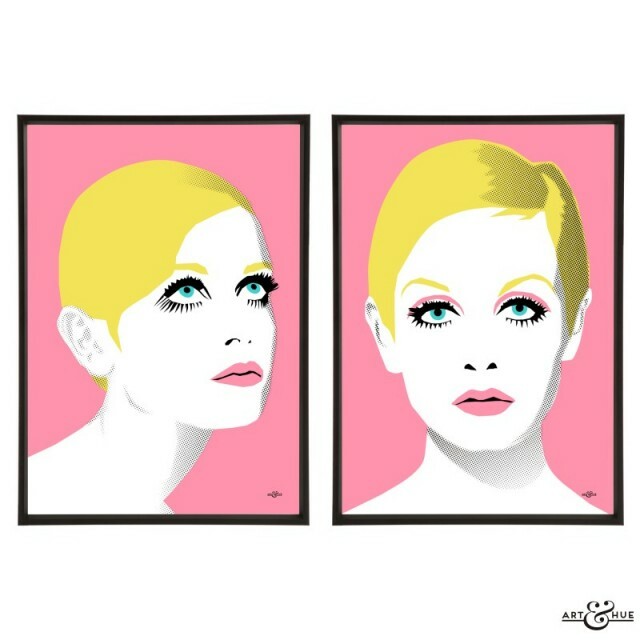 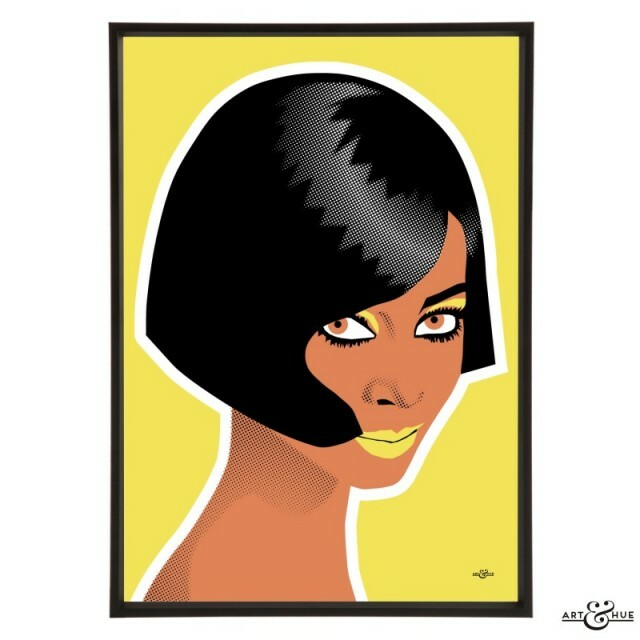 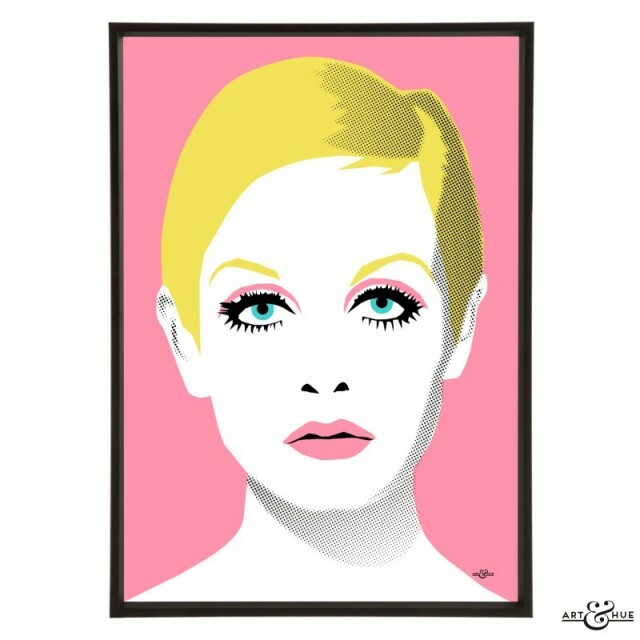 Capturing the spirit of the 1960s, Twiggy, Jean Shrimpton, Peggy Moffitt, Donyale Luna, and Veruschka have been given the Art & Hue treatment in this group of six stylish graphic illustrations.